Photo by Valerie Renee used under a Creative Commons license. Use the following research guides for help using software to manipulate data. Great advice on how to request a non-public dataset from a researcher. Search and download campaign finance, lobbying, earmark, contractor misconduct and federal spending data. Use your favorite torrent client to upload and download datasets. Use your favorite torrent client to upload and download papers. IPUMS-CPS (harmonized data on people in the Current Population Survey, every March from 1962-present). U.S. statistics from over 1000 sources; all tables downloadable as .csv and .xls; create customized tables and spreadsheets. Mostly national, not much state data. itemized financial data from 1948 for more than 200 countries. Data can be downloaded in Excel, tabbed text, etc. International economic transactions data and International Investment Position, 1960-present. Includes more than 500 time series indicators for 207 countries plus regional and income groups; retrieves and exports the data in popular spreadsheet formats. 1960+ . access to high value, machine readable data sets generated by the Executive Branch of the US government. Wellesley is a member of the Inter-University Consortium for Political and Social Research (ICPSR). ICPSR maintains and provides access to an archive of social science data. ICPSR data can only be downloaded if you are on campus. Most data can be downloaded directly from any campus computer, although some data is only available via CD-ROM. CD-ROMs are in the Wellesley College Library catalog; search by study title. If we do not have the CD-ROM, contact Carolin Ferwerda to request the data. Various classes, open to Wellesley faculty, staff, and students, are offered every summer through the Summer Program in Quantitative Methods at the University of Michigan in Ann Arbor. The Online Learning Center provides instructional datasets, as well as exercises for classroom use, information about useful Web sites, and related publications. For more information about ICPSR, contact Carolin Ferwerda, Official Representative to ICPSR. 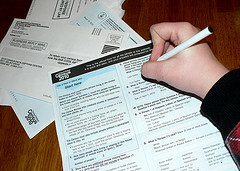 The SDCs are a partnership with the U.S. Census Bureau. You may be able to get state or local data from the respective SDC in a form that is not compiled/produced by the Census Bureau. As members of the Massachusetts State Data Center, Wellesley College users have access to customized data extrapolations pertaining to locations in Massachusetts. Please contact Megan Brooks, Director of Research Services, for further help or contact the Massachusetts State Data Center directly.